Canada is suffering from a prolonged drought of imaginative government. Since Stephen Harper bucked an otherwise universal international trend and reduced HST, and durably shrunk, as he hoped, the public sector share of the Canadian economy, our federal legislators have under-achieved. Nothing important and novel has been done except the unfolding legalization of marijuana. There is no serious discussion of health-care reform, though Canada is one of the few countries in the world that claims to ban private medicine. We are in fact rationing medical care for many victims of chronic health problems, and have failed to advance any policy option except throwing more tax-paid funds at the question. There is no known discussion of a constitutional update, although Quebec has elected the most avowedly federalist government since Jean Lesage, if not Maurice Duplessis, and has said it is ready to negotiate its approval of the Constitution, which was left hanging after the failure to adopt Meech Lake. There is no approach to taxing and spending except raising both, and no discussion of penal reform, though at least the Javert-like severity of the Harper-Toews tyranny has abated. There has been no attempt to make welfare and poverty-reduction more effective, and, as was recently mentioned here, all that has happened with the aboriginals is to dismantle the commendable Harper government requirement for accountability of the native governments and leaders — thereby providing some of their leaders with a blank cheque to go on squandering billions of dollars devoted to that population, which deserves better, but not necessarily more mis-invested money. It is an outrage that anyone in this country and in these times should pay an income tax of 53 per cent; it is the money of the people who earn or otherwise legitimately receive it — that income is their money, not the state's. Canadians have become so passive and docile, no one seems to utter a peep about governments taking more than half the income of the wealthier section of the population. Such a condition can only be justified in a state of emergency, and Canada has not had such an emergency since the Second World War. Everyone agrees that governments provide essential services, and there is general agreement about what most of those services are, but few imagine that they are being provided as efficiently and imaginatively as possible. Canadians are always preoccupied with the proximity of the United States, and that country is in shambles because the population has constitutionally rebelled against 20 years of bipartisan misrule that gave the world the Great Recession, the Iraq War, the migration crises, the appeasement of Iran and North Korea, a flat-lined U.S. economy, oceanic emissions of debt, and the enthronement of witless political correctness that forbade even the utterance of the words "Islamist extremism." This leaves us under the mistaken belief that Canada has no need to aim for better than its current status quo. It is similar to the reflex to believe that because the least prosperous third of our people receive better health care than their American analogues, we have a world-class health-care system. If Canada — which is the least populous and economically smallest of the G7 countries and the only one that is neither the founder nor principal home of a great and ancient civilization based on a distinctive language — wishes to distinguish itself from its peers, it will have to do so not only by being peaceable and serene, which it is, but by being an innovative laboratory for good government and imaginative legislation. The world needs to break the left-right sclerosis: technological advance creates more unemployment than employment; we are all over-committed to the service economy where there are too many academics, lawyers and consultants who add relatively little value to the economy (unlike farmers, factory workers, miners, most doctors, and many teachers and executives). The only visible statesman who utters a word of such things is the new French president, Emmanuel Macron. To summarize some points I have made here over several years, as food for thought: we should sharply reduce all income taxes on lower personal and corporate taxes, have a personal ceiling of 35 per cent and 20 for companies, but impose a wealth tax on high net worth people of one per cent, which would be paid by operating or supporting approved bona fide plans to employ and train disadvantaged people. It would be reduced toward zero as the number of designated poor people was reduced. Taxes on elective (largely luxury) spending and most corporate financial transactions could be raised a few points. Private medicine should be accepted, all graduating medical doctors should contribute three months to the public health-care service at modest pay, and there should be user fees and declining benefit scales for people of above-average wealth. Universality is bunk; we must help those who need it. All but the most egregious or recidivistic non-violent law-breakers should be released from confinement and their sentences should be changed to community or private-sector service at Spartan pay and accommodation but relatively full liberty under supervised release. Most of the Harper prisons should become assisted housing. Aboriginal communities should have to conform to the same standards of administrative integrity as others, and all adult aboriginals should have the opportunity to change their status, with financial assistance, to un-hyphenated citizenship. The federal government should increase immigration by 50 per cent and more actively seek it in Central and Eastern Europe (without rolling back any other region), and should reduce transfer payments to any province that did not decertify teachers' unions and apply a performance standard to their compensation. Equalization payments, which began as a sop to the federal ego when Duplessis forced the St. Laurent government to acknowledge the constitutionally guaranteed right of provinces to a concurrent jurisdiction in direct taxes in 1955, should be reduced by half, over five years. Ottawa should incentivize at least one province to scrap its securities regulation quagmire, replace it with a more explicit and better staffed anti-fraud regime, and welcome practically all capital to this country, as long as at least half of large deposits were retained or invested here for five years. It's no concern of ours how the money was made, as long as the depositors and investors observe our laws and do not re-enlist the funds for unacceptable purposes elsewhere. The oppressive money-laundering rules are just an excuse for governments to micro-manage our lives. Serious international criminals don't have much difficulty evading them. Some of these steps would be challenged constitutionally and would have to be re-legislated until the composition of the higher courts were less infested by judges intoxicated by the Charter and who recognize the high court of Parliament. The Atlantic provinces should become one, as should the prairie provinces, giving the country five provinces of between 2.5 and 14 million people each. The Senate should be composed of exceptionally talented people in all serious fields, appointed for five-year, renewable terms, and should have a limited, but not trivial, right to delay or alter legislation from the House of Commons. The governor-general should become the elected president of the Commonwealth of Canada, and be co-chief of state with the monarch, and the president and prime minister should have powers roughly equivalent to those of the president and prime minister of France. It's a long list, and not all of it would ever be done. But if we started discussing seriously any significant part of the above suggestions, or something like them, we would engage the attention of the world. 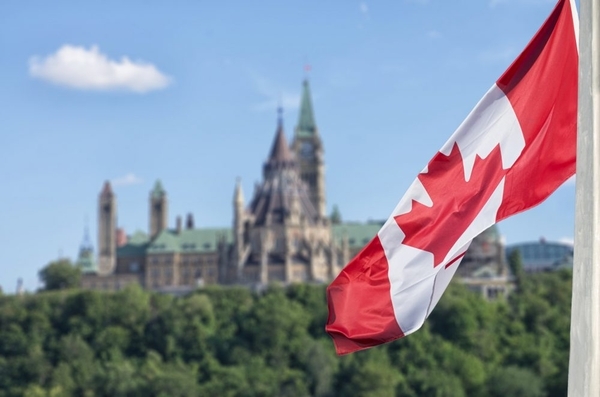 If we substantially enacted them, Canada would be widely emulated and would be one of the five most influential countries in the world within 20 years. Why not?